When I first seen this game I thought it may be something to do with the fizzy soft drink. Oh how I was wrong. 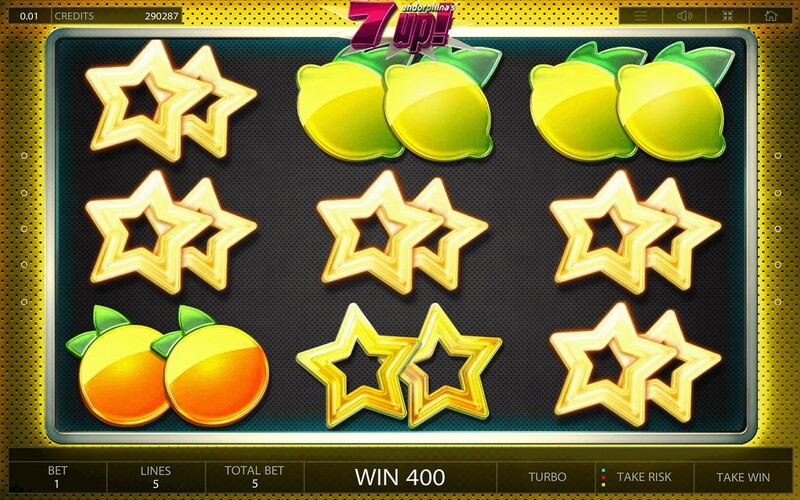 7 UP is a wonderful uk online slots game that features all the traditional fruit machine symbols but supped up with a contemporary twist. All the symbols are popping and exploding across the reels which certainly adds the winning experience. The team at Endorphina has a strong passion for delivering satisfying, entertaining and unique slot experiences, thus expanding their portfolio with more quality games. It is certain that any player can find an Endorphina slot game to enjoy, one that will bring them the wins they’ve been waiting for. 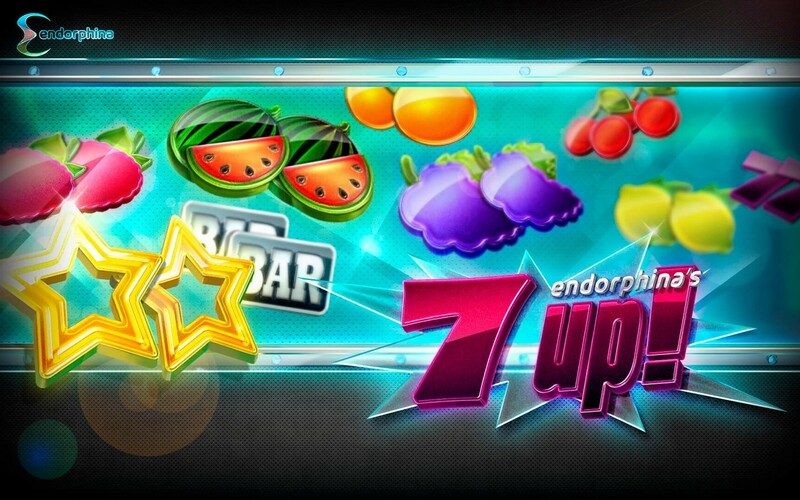 7 Up is a classic, fruity themed slot experience, simple enough to attract anyone, but also charming enough to remind old time players of the real-life casino experience. For more information, read pay by mobile casino sites and get your free spins today! There’s always going to be something special about a slot game that keeps the classic fruit symbols and aims, at the same time, to revive them, to make the old experience better in this age of high quality graphics. The sleek, attractive design should convince you to play 7 Up, as its entertainment potential is very well displayed through the vibrant colours and 3D effects. Having captivating gameplay and some extra features, this slot game is surely a winner. 7 Up has 3 reels, 3 rows and 5 paylines, maintaining the overall minimalism of the theme, which will appeal to many. Anyone can start playing right away, without going through complicated rules that take a while to get used to. You can adjust the number of lines you want to leave active and choose a bet level from 1 to 10, combining these elements to create the perfect bet for you. The buttons are quite simple, putting the focus on the reels and rather large symbols, which all come in pairs. The symbols are designed with little detailing, but a lot of shine and vibrancy, in order to attract your gaze. There are grapes, strawberries, watermelons, lemons, cherries, oranges and stars, along with the well-known Bar and Lucky 7 symbols. The background colour changes constantly, matching the colour of the last winning combination made. So, for example, if you spin a winning combination made of oranges, the background becomes orange. It’s a nice touch that really makes a difference when playing. More Easy slot promotions, visit Easyslots.com today! The Lucky 7 symbol is the most valuable, and if you spin 3 of them on a winning payline, you get 777 credits. If you are lucky enough to spin 9 symbols of the same kind, covering all the reels, you trigger the 7UP Bonus. Then, you get the opportunity to multiply your prize by up to 7x, by taking advantage of the 7 chances you are offered to receive a multiplier. Also, if you win a non-multiplier symbol, you are still given a prize and the game continues and only stops once you get the Multiplier or all 7 attempts have been used. Lastly, there is a Risk option you click on use whenever you win a prize, risking either getting up to 10x your initial prize, or nothing at all. You are presented with a dealer’s card and four closed cards to choose from. You win if the card you choose is higher than that of the dealer. Join and spin slot games now! more slot bonuses are waiting for you. 7Up is a creative and exciting easy slots game for the lovers of new and the lovers of old alike. The modern look and classic theme will convince you to play more than once, as will the prizes you’re likely to get. If you enjoyed 7-UP then you might also like to find out more easy online slots game here.